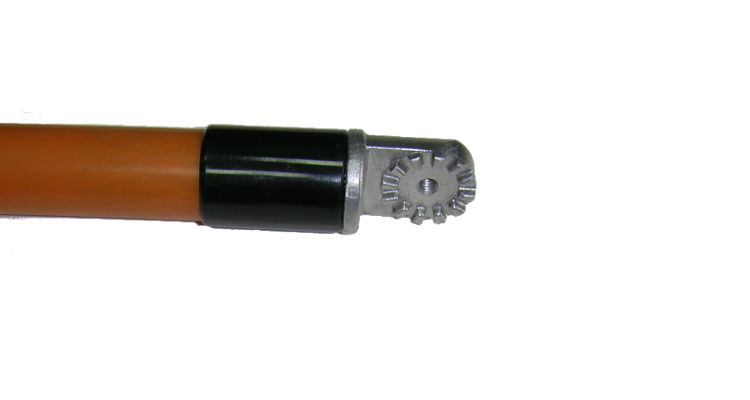 The UDEM Universal Insulating Pole with euro juntion (according to EN 60832-2:2010) – depending on rated voltage - is designed for servicing electrical power engineering equipment of low-, medium- and high-rated voltages up to 400kV. It is used for protection against electric shock by insulating an operator from the live electrical power equipment. The insulating part of the pole is made of epoxy-glass tube filled with polyurethane foam of high mechanical and electrical resistance.